Erica Yusim sends us usually some Galaxy Note 3 concepts, but this time we’ve received from this source a device that seems to be a direct rival to the future Samsung phablet. 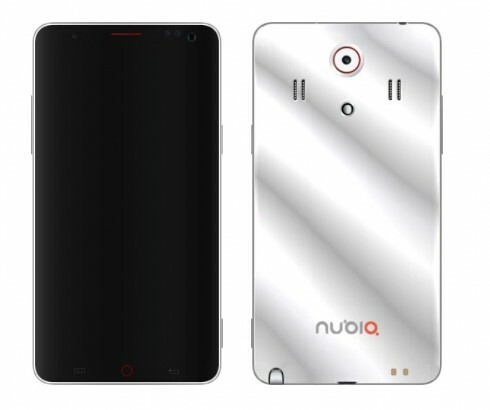 Meet the ZTE Nubia Z7, the follow-up to the recently announced ZTE Nubia Z5. The ZTE Nubia Z5 is a 5 inch 1080p device with Android 4.1 and a quad core CPU. Meanwhile, the ZTE concept is a 6.3 inch phablet, just like the Samsung Galaxy Note 3. However, it’s the resolution that’s the crazy part here, not the diagonal: 2560 x 1440 pixels. Inside the device we’ve got an 8 core setup, with a 4 core 2 GHz Cortex A15 plus a 4 core Cortex A7 at 1.4 GHz and Mali-T658 GPU. 4 GB of RAM are also here, as well as up to 128 GB of internal storage and a microSDXC card slot, for an extra 128 GB. Android 5.0 Key Lime Pie runs on the Nubia Z7 and at the back we’ve got a 16 megapixel camera with autofocus, LED flash, BSI and 1440p capture at 60 fps. Bluetooth 5.0, LTE, USB 3.0, MHL and NFC are all here, as you may have expected. Finally, you should know that the concept phablet measures 9 mm in thickness, weighs 200 grams and packs a Li-Ion 4,000 mAh battery. So, what would you choose between the future Galaxy Note and this model?